My self imposed LMMM challenge is over as of yesterday Feb 16. I was looking back and I made approximately 600 or so images over a span of 8 weeks. Not great, but not lousy either. And most of them are photos of my daughter! The other ‘topic’ I photographed the most, if I can call that is what I see on my commute. I have been intentionally intently looking around when driving, especially when stopped at traffic lights – and now I am amazed that what I thought was a dead subject where I could not make any photos at all – now there are some very nice photos I can see. It is still very very tough to try to make a lyrical, beautiful image out of a bunch of cars waiting in front of me…but sometimes, the way the evening sun falls partially on yellow bins in the middle of the road (what are they? I never saw them before!) making some of their yellows so bright and beautiful juxtaposed with the dark somber almost grey, but sometimes chocolatey asphalt, beautiful! I was supposed to be shooting in black and white only for the past 8 weeks, and that is what I did – except for two occasions where I had to take color photographs. I think this exercise is supposed to help with seeing luminosity. Now I do seem to see light, glorious light almost all the time, a split second before evaluating the subject – because of Black and White or because I am trying hard to make this into a habit…I am not sure. And I see beautiful color, subtle pastels, glowing bright amazing colors. I wonder how I will fare for one year of no color. I used to think I loved black and white – now I know that I love color too! I was supposed to use only one lens throughout this 8 week period. And I mostly did – for 6 weeks. I have fallen even more in love with my Konica Hexanon 50mm f1.7 – and I cannot express in words wht I like about the pictures that lens draws…it just talks to me (like my EP5). However I switched my lens out to a newly acquired Leica M Summilux 35mm f1.4 for Week 7 and Week 8. I bought this lens in preparation for my Leica year. I am getting better at using manual lenses. Somewhere halfway, I came across the idea of “zone focusing” manual lenses – link from Ming Thein. And this is what I am practicing now. A method to how to focus manually – without having to look at the focus ring! During this challenge, I did not use the light meter on the camera, and I tried to manually calculate the correct exposure (in my head). This is still very very hard for me. I wa sinitially almost randomly bracketing – but then over the last two weeks, I have been using the ‘Sunny 16″ rule and its variants. This is still a project for the future, and I have this link on – learning ‘GSOTPANWASTOTZSS’ to help me out. Over this time, I have come to enjoy using my Olympus E-P5 even more. Thsi is teh first camera I have ever owned which feels special. The fact that I had to use the EVF which was bulky was annoying. And the olympus menu system is annoying (sometimes). But overall, I look upon this cameras flaws fondly! And despite its flaws and issues, I really love using it and cant think of using any other camera. I made a purse insert for it and now my camera is with me almost always, incognito in my purse.. Overall, a successful challenge for me – for it served its purpose. I learnt a lot – and am learning a lot. What next? Well, just take more photos and get ready for the Leica year. 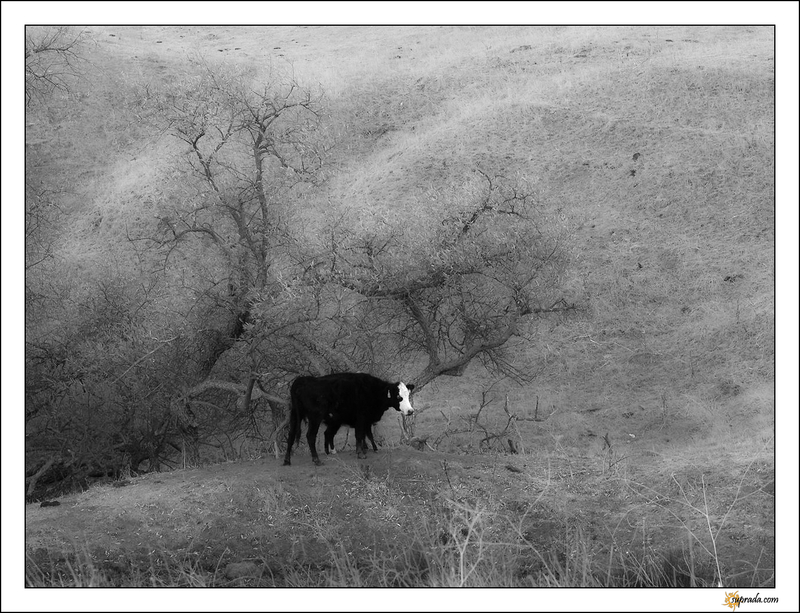 As a part of my LMMM challenge, I am using a legacy Konica Hexanon AR 50mm f1.7 lens via adapter with my Olympus Pen E-P5. This lens has a manual aperture ring on the lens barrel. The camera, also does not recognize the lens – because of which the EXIF information in the photographs do not contain aperture information. As a part of LMMM, I wanted to try to record the aperture information somehow, so I can embed that information in my photographs as a part of my post-processing workflow. 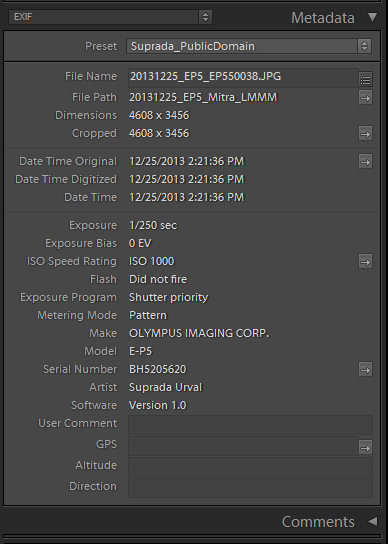 Here is how the information is embedded in the photograph EXIF via Lightroom: Adding Legacy Lens EXIF Info for Lightroom metadata. Olympus cameras offer the option to embed audio when reviewing images. This is stored as a .wav file with the same filename as the image being reviewed. When you review the image now, you can just play your recorded voice. * Review this photograph and voice-record aperture information. * Every time aperture is changed, only then for that photograph, review that photograph and record aperture. The aperture information of a photograph is the same as the aperture in the previous photograph unless it has a .wav file with aperture information in it. And this system is working great for now! I am now in week 3 of my LMMM challenge. 5 more weeks to go. Week 2 was a little better compared to week 1. I did take a lot of photos of my daughter – and took one I just love! And a few of my cat. 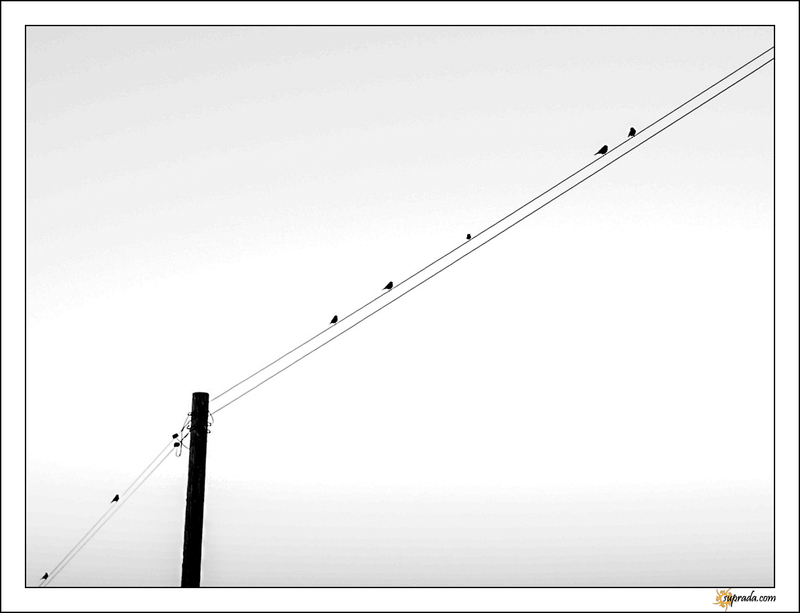 But birds on lines – didn\’t happen in week 2. I feel my technical skills have also improved in week 2. 1. Taking photos of fast-moving toddlers in low light indoors is very challenging – especially with manual focus and manual exposure. 2. It is also a lot of fun! 3. It helps to think forward and decide on aperture for the entire possible scene. Basically it helps to think about what your aperture means. I am understanding aperture selections a lot more! 4. I can make photos I like without even stepping out of the house! 2. Take photos of everything around. 4. Work more on nailing desired exposure. One week up in my LMMM challenge. 7 more to go. Overall rating for week one – I feel quite bad about my week one. 1. I shot about 160 photos – not enough. 2. More than 50% of these are out of focus – and that too with focus peaking enabled. 3. Even worse, 97% of my photos are underexposed. 4. And the other 3% are overexposed. 5. What to shoot has become very tough – and how to make nice (to-me) photos of everyday life. 1. I am back on track keeping my photos organized. 2. I am taking a lot more photos of my daughter. Underexposed, slightly out-of-focus – whatever – I got a few nice photos which I will treasure. 4. I\’m writing here more often! 5. I\’m getting to play with some nice plugins! 2. Take more photos of my daughter. 4. Be more conscious of by aperture / depth of field – try to nail exposure more often. Here is a list of all posts and photos from my LMMM challenge. The LMMM challenge is introducing me to new problems. Lightroom is my go to tool for managing, organizing and editing my photographs. So this morning, I was trying to add the aperture information and lens information to the photograph’s metadata after importing them into Lightroom. And I could not figure out how to do this. A little bit of searching the internet – and the answer was obvious. You cannot do this in Lightroom…by itself…you need to use plugins. 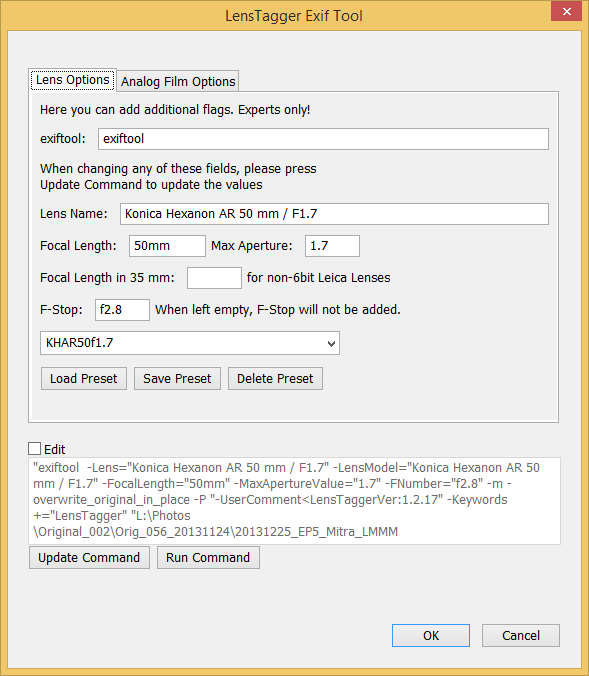 So here I am installing a software – Exif Tool and a Lightroom plugin: LensTagger. And here is my metadata after. In the screenshot after Lens tagger, you can see that the ‘Exposure’ field now has the aperture value, the ‘focal length’ is filled and the Lens field now has the correct lens information. Very very cool. I will be donating towards Lens Tagger and Exif Tool I’m thinking. They are totally worth two nice meals (at the minimum). Never realized \’selfies\’ are this much fun! What fun eating ramen for lunch, good conversation with friends and taking photographs. This is from Day One of LMMM. 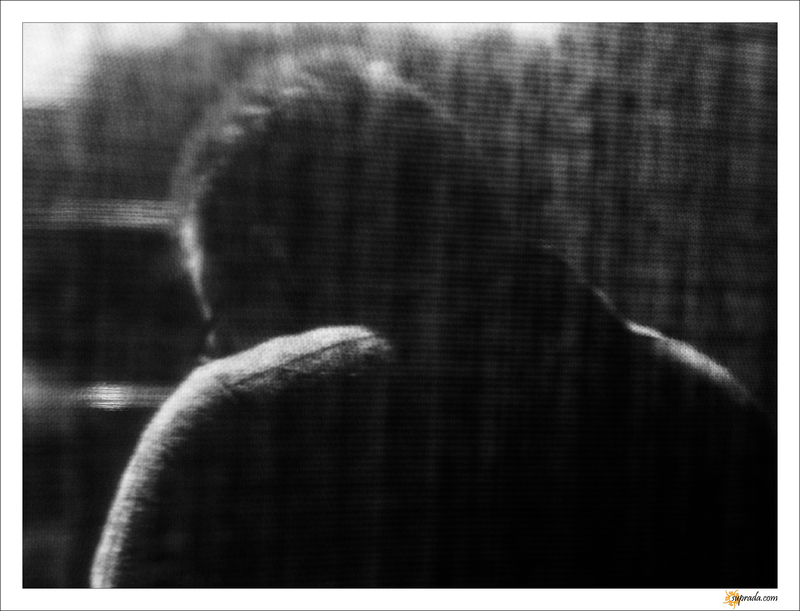 Taken through a mesh screen at a Japanese restaurant – Kotetsu Ramen in Santa Clara, CA. The man in the photograph was sitting on a bench outside the restaurant while waiting for his table. I was, luckily, seated right by the window. This was day one of the LMMMs. This is hard. I am realizing how much I don\’t know about dialing in the right shutter speed and focal length for a given ISO. 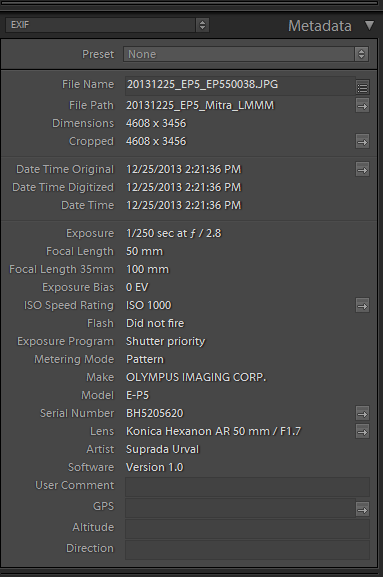 I never knew I depended on the in-camera metering this much. Setting the ISO fixes to 1000 was a good idea. Why did I choose 1000? Well, I know it is pretty high. But if I am to take photos every day, it will mostly be indoors, and I need a decent ISO to make low light photographs, and my camera can handle it. Day one has been very enjoyable so far. 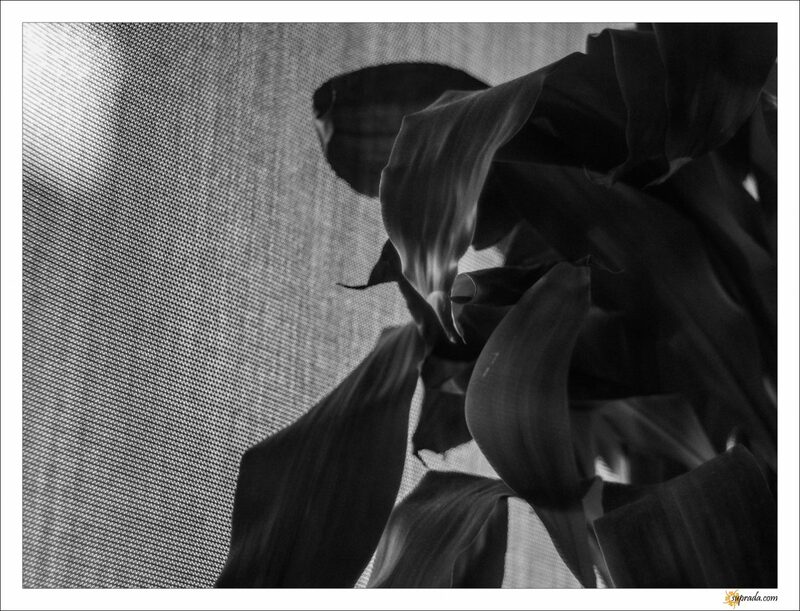 I am loving the look of my Konica Hexanon lens. It is not perfect – flares easily, soft wide-open….but so what! I love how the photos look. Someday I will have the vocabulary to describe what is so different, so nice about images from this lens. What to change / add tomorrow? I need to start noting what aperture I\’m using for my photos somehow – for every frame. Is this going to be a phone app , or old-fashioned pen and paper? I am also using focus peaking a lot for manually focusing. However, after a couple of weeks, I am hoping I\’ll get the hang of manual focus without needing the focus-peaking crutch. Of late, it has been bothering me that I have not improved in my photography over the past 3-4 years. It feels like I\’ve been wallowing in mediocrity – not even attempting to better myself. And the other thought rattling around in my brain cage is this: Should I attempt the Leica year? What is the \”Leica Year” you say? Go here and read the article – an exercise proposed by Mike Johnston of The Online Photographer. In short, it is a commitment of one camera ( a fully manual Leica), one lens and black and white film for one year. One whole year! Maybe someday, I\’ll jump in headfirst…but not right now. Currently, I am unable to make myself spend the $1.5k in buying a Leica (though you can regain that money by selling this), when earlier this year, I spent a similar amount for my lovely, beautiful and scrumptious Olympus E-P5 with the VF-4 and the 17mm lens. But I really do need to improve, learn to see better and feel better. So here is my mutated Leica Year. I will use only a Konica Hexanon 50mm AR f1.7 lens, with its Konica AR to M4/3rds adapter on my Oly beauty. Since this is a manual focus lens, with manual aperture controls, I will shoot in Shutter priority Mode only. I will also use only one ISO setting – ISO 1000. 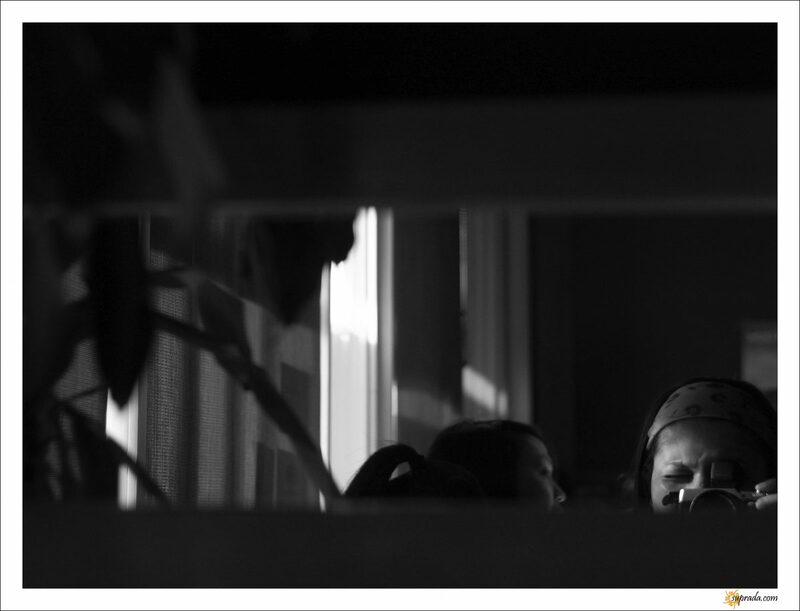 I will also shoot in at the native 4:3 aspect ratio and in monochrome only. Also no continuous shooting. Electronic viewfinder allowed. No histograms, guides or any such this. Only the shutter speed display is allowed. No framing on the LCD. Cheats allowed: Focus Peaking is allowed. Chimping is allowed. Videos in color allowed – but with this lens only. I will do this for a period of 8 weeks – Monday December 23, 2013 to February 17.2014. In this time period I will endeavor to shoot between 2 to 6 film rolls a week (2×24 to 6×24). I will also try to keep this blog posted with what I shoot. So that is it. Today, the first day of the \”Legacy Manual Monochrome Months” (LMMMs) for short, my new exercise in bettering my photography begins. Wish me luck folks!